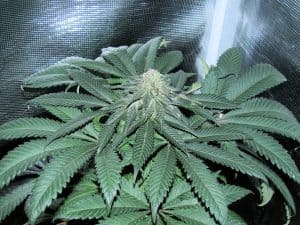 The Dark Matter male used in this cross is a hybrid of Rusty Haze x Cherry Thunderfuck. 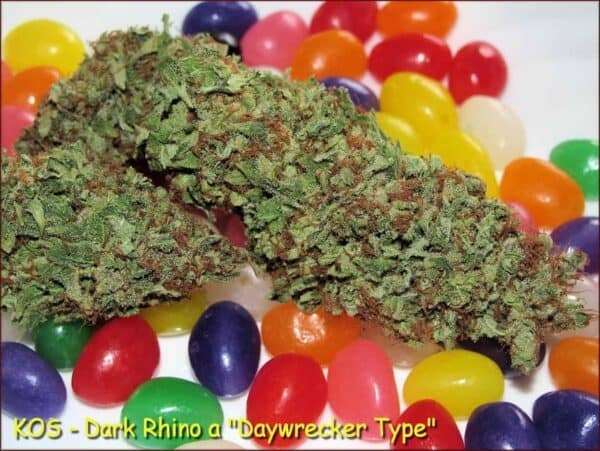 This variety is very hearty with quite unique flavors and smells with large yields. 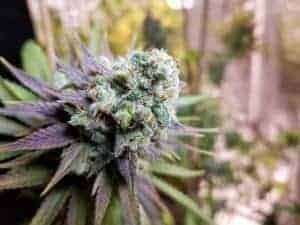 The high-type is one that can cause some paranoia, but to me the Dark Matter is full of “Dark Energy” with zero burnout and long legs and just a super fun ride. 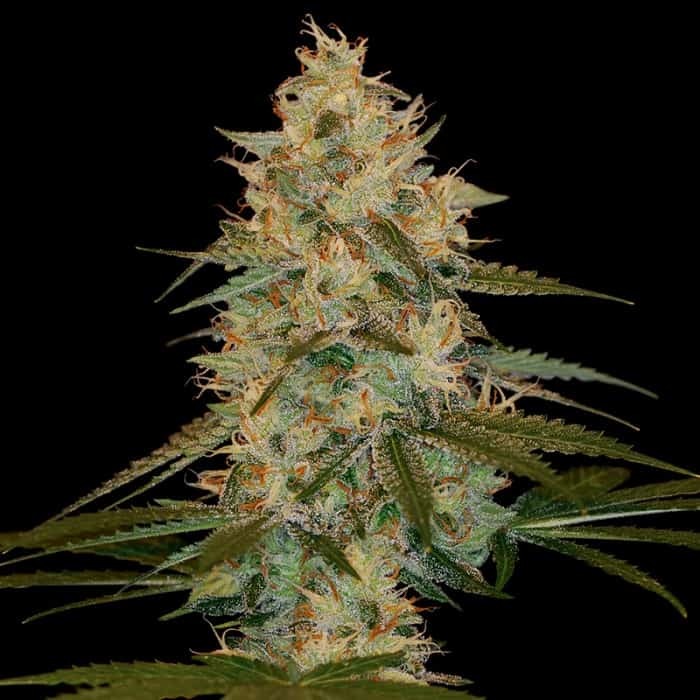 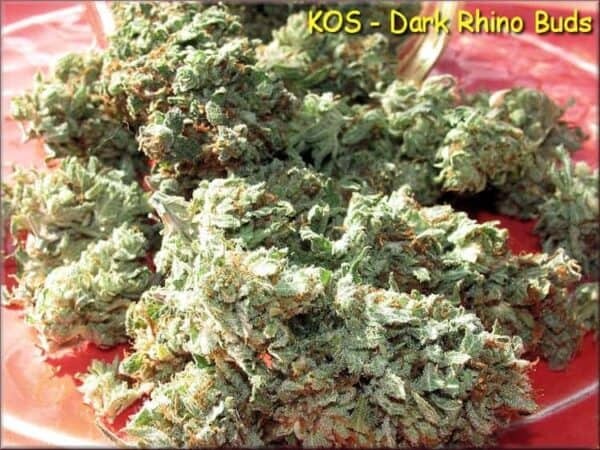 The Blue Rhino 1947 female used in this cross is a hybrid of Irish Rose’s, Blue Rhino and a Peak 19/AK47 I call the “1947”.This variety carries a very special medical property that suppresses muscle spasms brought about by nerve damage. 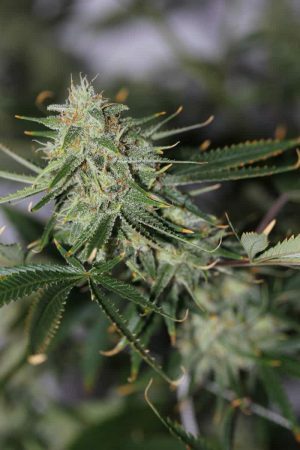 Blueberry and blond hashish flavors and smells with super hard buds that are deadly potent with a knockout Indica punch. 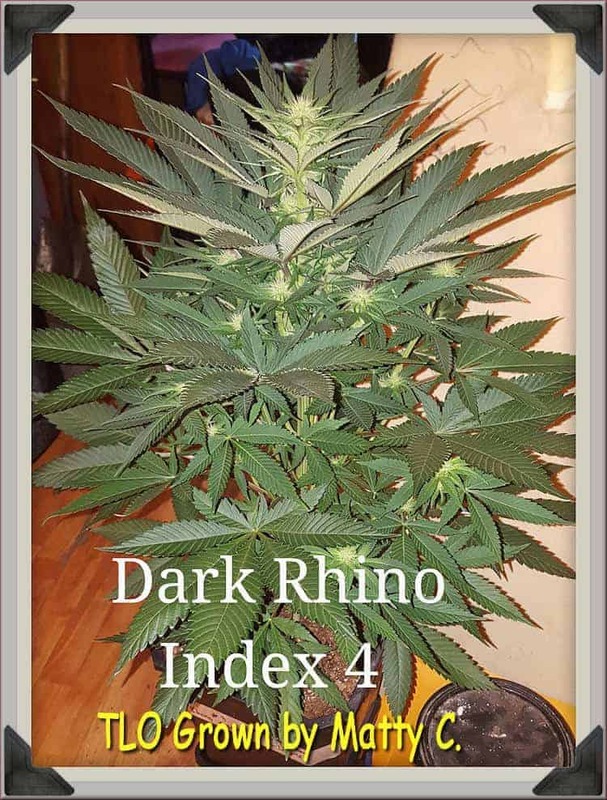 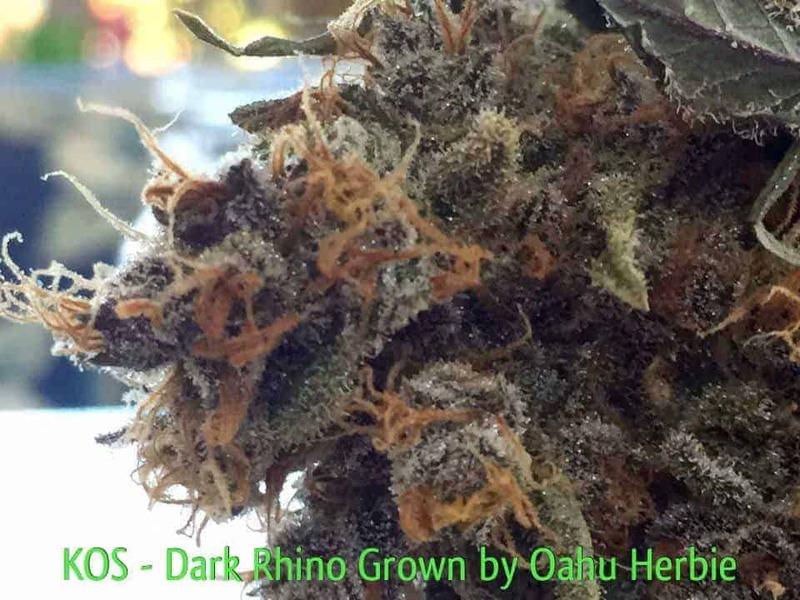 The Dark Rhino is not a large yielding hybrid and is more like average, however, she is very fast to finish at 9 weeks or less and easy to grow. 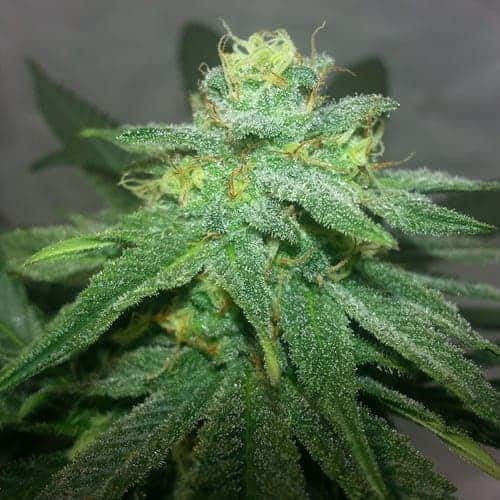 She is a great choice for those looking for medical relief from muscle spasms and likely other issues as well. So her medical virtues are high. 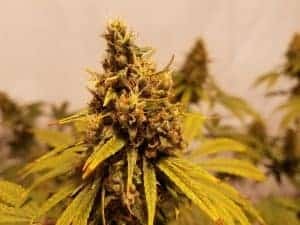 She delivers a real blow to both head and body and is also great to aid with sleep and eating disorders. 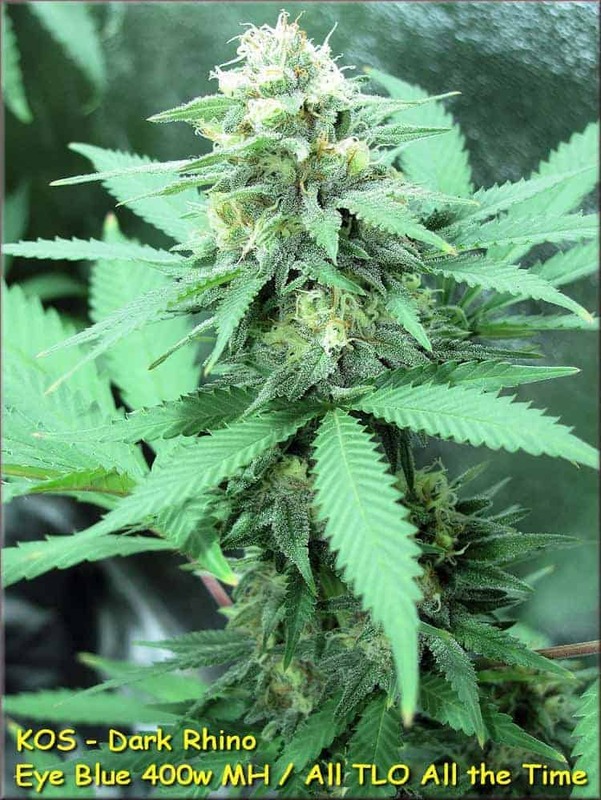 She smells like fuel and Honey Oil with candy in the background and the buds are as hard as rocks.